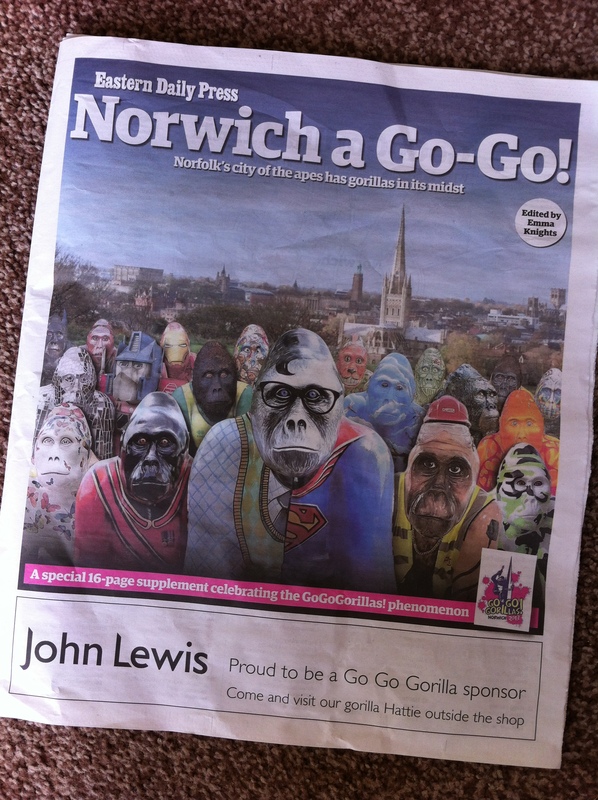 Yesterday’s Eastern Daily Press newspaper had a brilliant Go Go Gorilla pull-out paper, with info on the gorillas’ story, trail maps for the Go Go Gorillas and the mini gorillas, photos, interviews with two of the artists and details on both partner charities that the trail is raising funds for: Break Charity and Born Free Foundation. 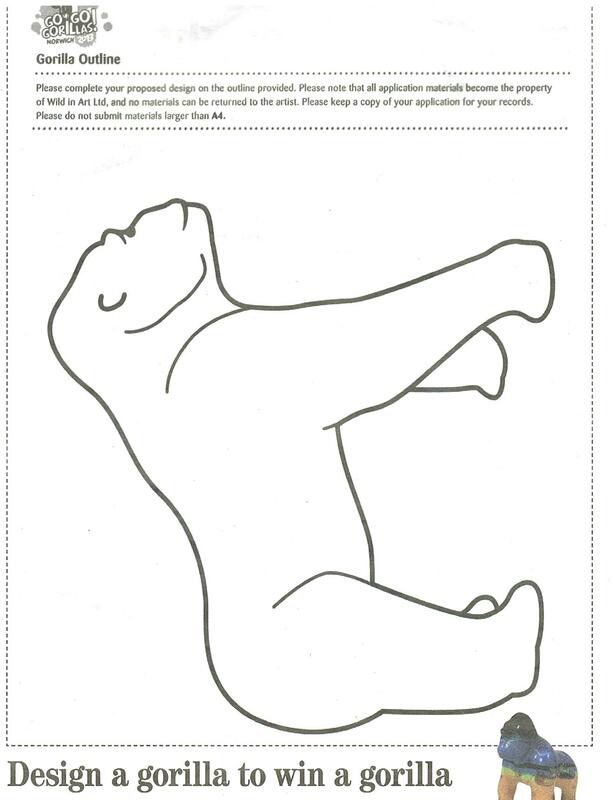 The thing that really caught my eye though, was the competition to design a gorilla, open to all ages. The Eastern Daily Press (EDP) and Evening News are running the design-a-gorilla competition until 5pm on the 5th August, with gorilla sculptors Wild In Art offering prizes such as a ‘paint your own gorilla’ kit and one of three ceramic gorillas (based on Catch Me If You Can gorilla, Gareth gorilla and Butch) that will soon be on sale in Norwich. 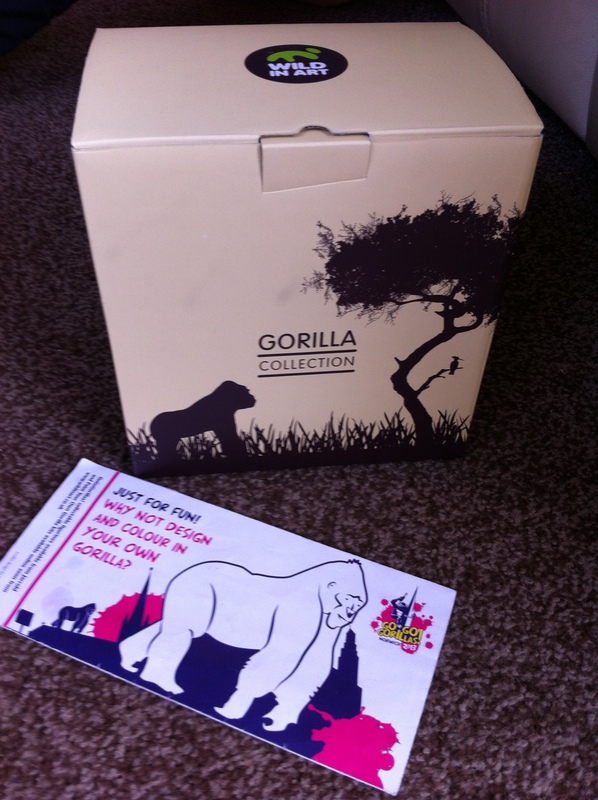 I must admit, I already bought a little ceramic ‘paint your own gorilla’ kit, from Jarrolds, near the market place in Norwich. 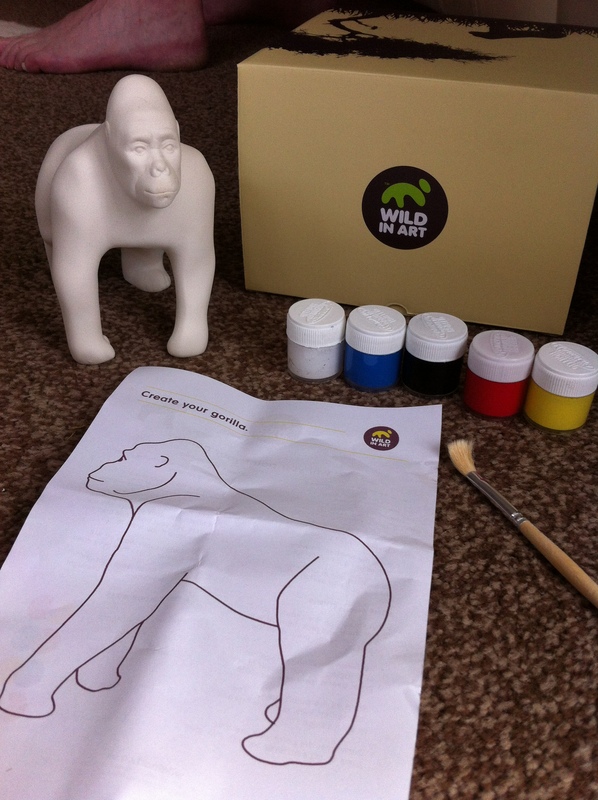 The gorilla is 15cm tall, with paints 5 paints (red, blue, yellow, black and white) included and a paint brush, gorilla outline (to practise your design first), and a list of ideas, inspirations and colour-making charts. So, what do I plan to do with my tiny gorilla (almost an exact replica of the Go Go Gorillas I’ve been hunting down across Norwich), well – that’s easy. 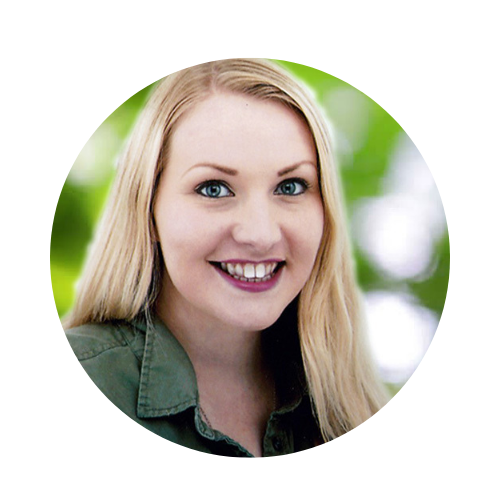 This blog and the many earlier posts on here were started up to share my thoughts and experiences on the Born Free Foundation, which I have been a supporter of since the age of 6, and my time spent volunteering at Shamwari Game Reserve, home to two of Born Free’s Big Cat Sanctuaries, so my plan is to create a Shamwari/Born Free Foundation themed Gorilla, and send it to the Born Free Foundation Julie Ward Education Centre in South Africa. 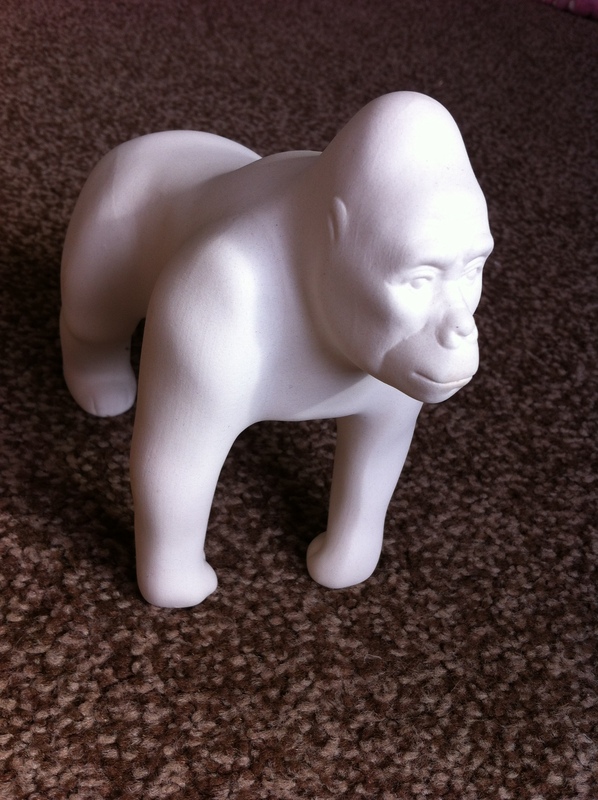 So, if you are interested in winning your own gorilla by entering the competition – send your designs to Design-a-Gorilla Competition, Archant, Prospect House, Rouen Road, Norwich NR1 1RE (home of the The Ape’d Crusader Go Go Gorilla 🙂 ) or click here for more info.